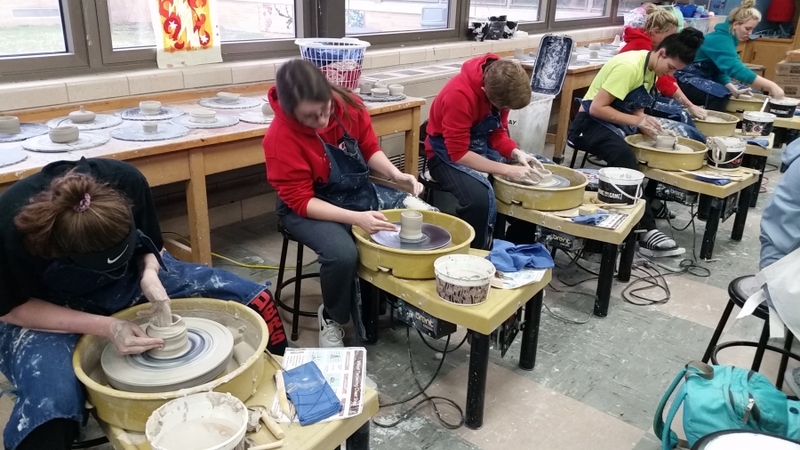 Ceramics is a semester course offered through the Art & Design Department for students interested in exploring various approaches to manipulating and creating art with clay. Currently, the students are getting the opportunity to learn and understand the process of wheel throwing. They each get a few days to experience the processes of centering, opening and pulling/shaping the clay. Look at them go – first timers creating amazing works!